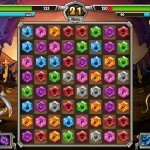 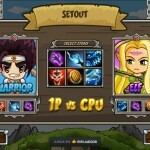 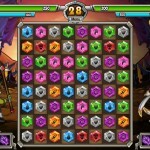 Puzzle Fantasy Upgrade Match 3 Mini Juegos Click to find more games like this. 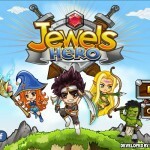 Jewels Hero is an addictive matching puzzle game! 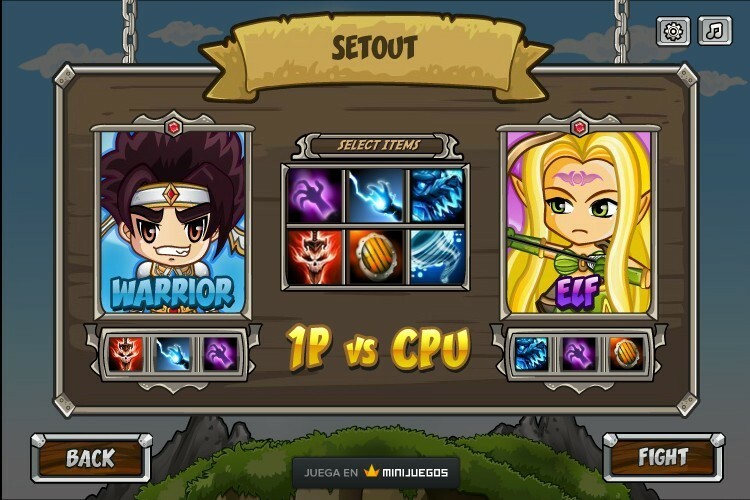 Choose a hero, then take advantage of your wit and special skills as you take turns against the enemy, matching groups of jewels to attack, defend, heal, power up your rage bar, and perform magic attacks. 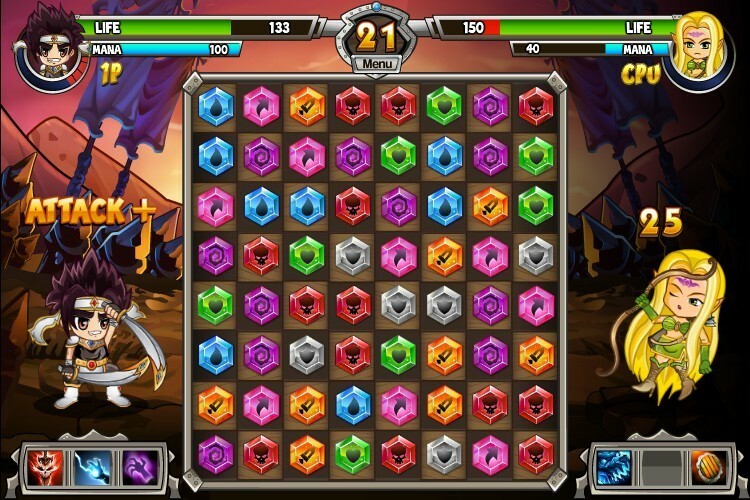 Take advantage of your rage bar; once you've filled it, you'll be able to unleash a powerful rage attack, dealing massive damage to your enemy! 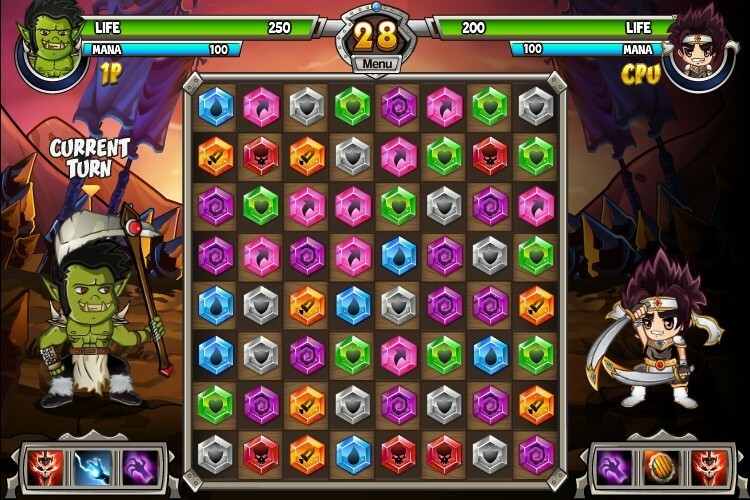 Don't be afraid to spend your jewels for helpful assists, which can turn the battle in your favour! 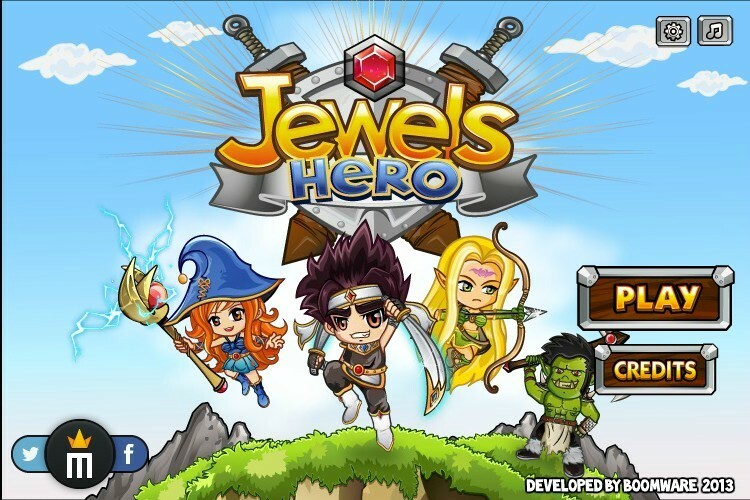 Select jewels - Use the mouse.